Remaking the Monster Mash set I never uploaded to be more anime-ish. Cannot be Normal Summoned/Set. 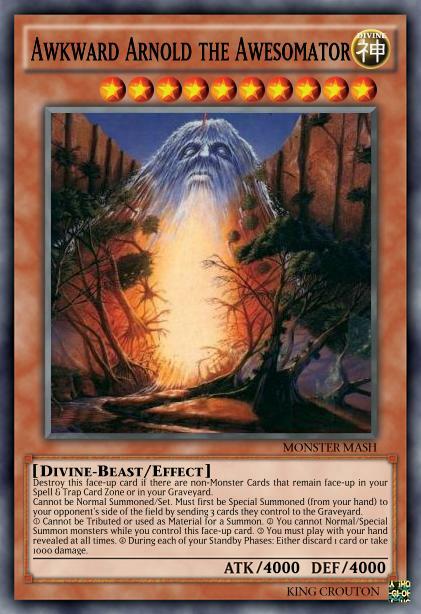 Must be Special Summoned (from your hand) by banishing 4 Monsters from your GY that were Special Summoned from the Extra Deck. 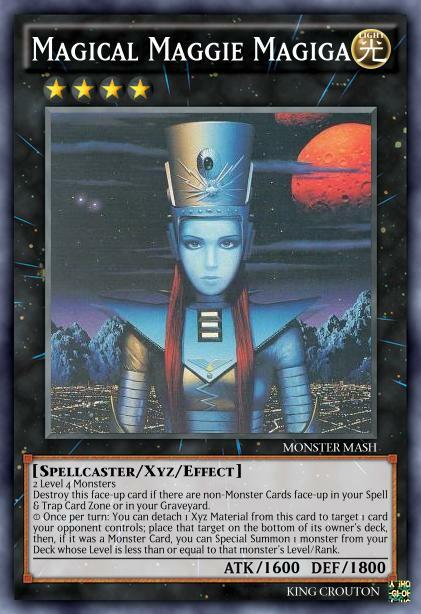 Destroy this face-up card if there are non-Monster Cards face-up in your Spell & Trap Card Zone or in your Graveyard. 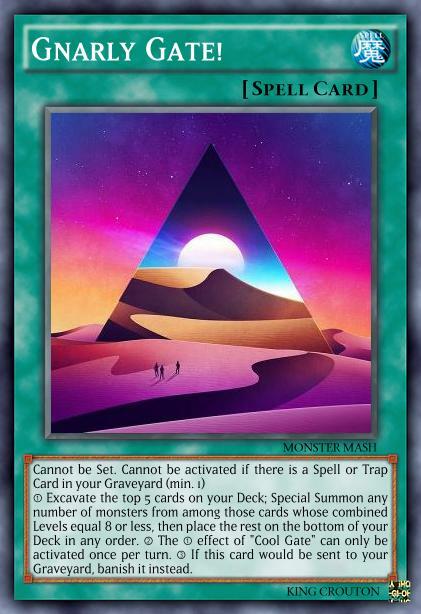 ① If this card is Summoned: Your opponent cannot activate cards or effects in response, also, shuffle all cards on your opponent's side of the field, and in their hand, Graveyard, and banished cards into the Deck. ② Unaffected by your opponent's card effects. ③ When this card battles an opponent's monster, it gains ATK equal to double the ATK or DEF of the opponent's monster, whichever is higher. 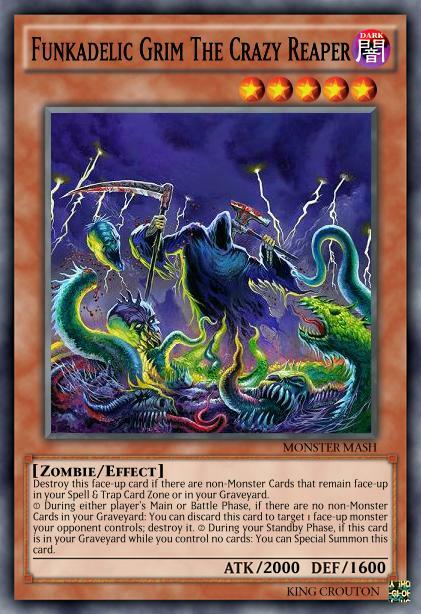 ④ During your Standby Phase: If this card is in your Graveyard or is banished: You can add it to your hand. 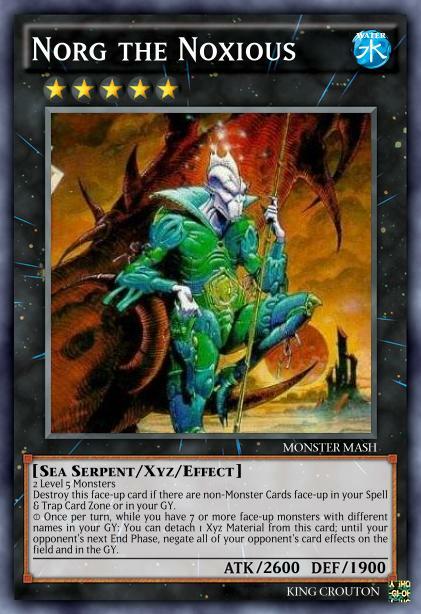 Destroy this face-up card if there are non-Monster Cards that remain face-up in your Spell & Trap Card Zone or in your GY. Cannot be Normal Summoned/Set. Must first be Special Summoned (from your hand) to your opponent's side of the field by sending 3 cards they control to the GY. ① Cannot be Tributed or used as Material for a Summon. 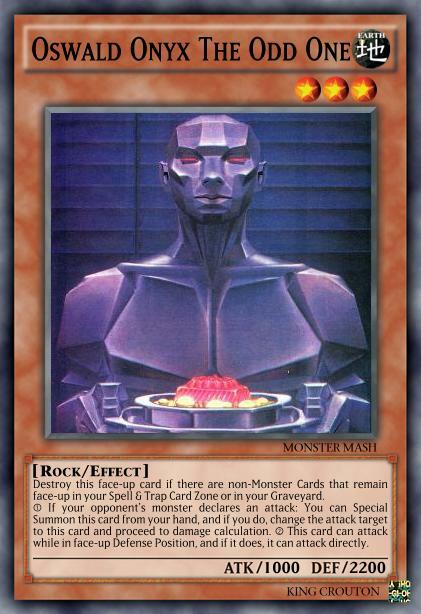 ② You cannot Normal/Special Summon monsters while you control this face-up card. ③ You must play with your hand revealed at all times. ④ During each of your Standby Phases: Either discard 1 card or take 1000 damage. 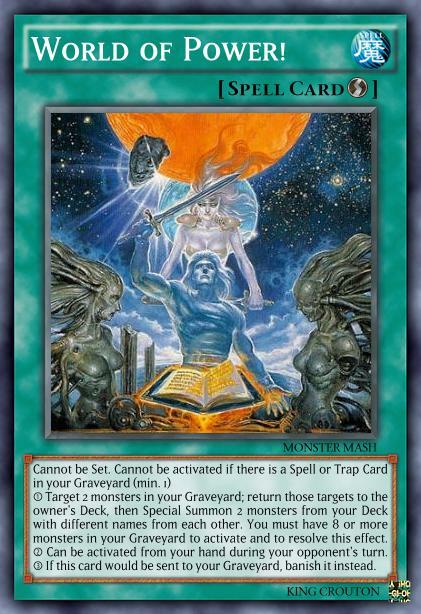 ① You can Special Summon this card (from your hand) by shuffling 2 monsters in your Graveyard into the owner's Deck. 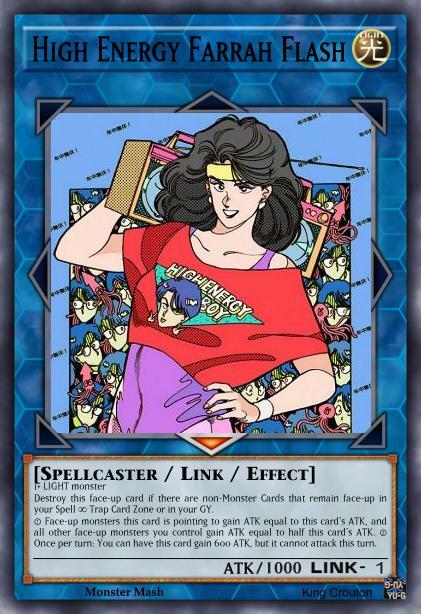 ② This card's Special Summon cannot be negated. ③ If you have 4 or more monsters in your GY, once per turn: You can discard 1 Monster Card; Destroy all monsters your opponent controls. "Squinty-Eyes Awkward Dragons" cannot attack the turn you activate this effect. 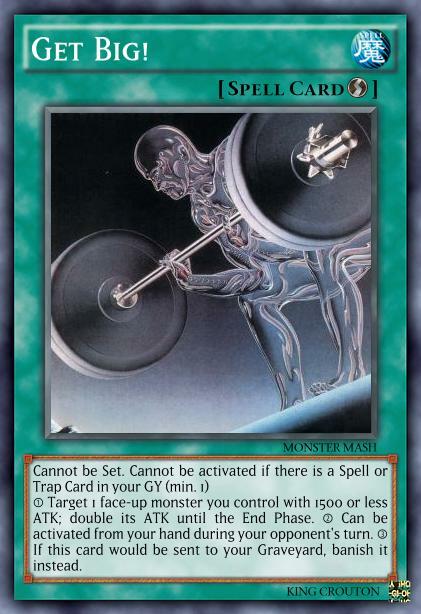 ② Negate Spell/Trap/Effect Monster effects that target this card. 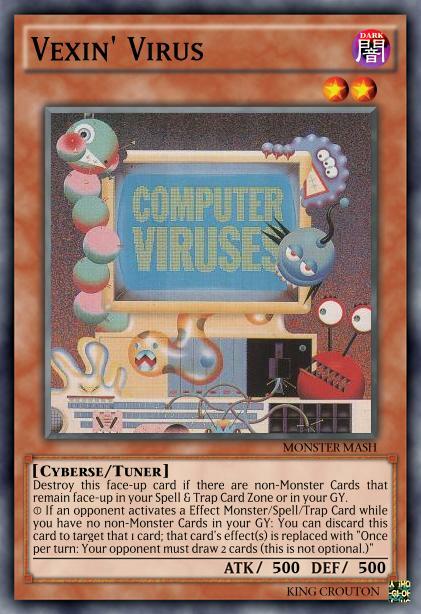 ① While this card is in your hand, its Level is reduced by 1 for each monster in your GY. ② If this card declares an attack: You can target up to 1 monster and 1 Spell/Trap Card your opponent controls; destroy those targets. Radical Rex Against The World!!! 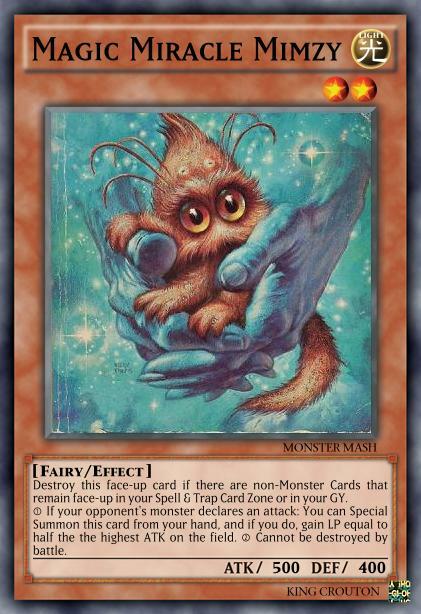 Destroy this face-up card if there are non-Monster Cards that remain face-up in your Spell & Trap Card Zone or in your GY. You can only control 1 "Radical Rex Against The World!!!" * 2+: ③ If this card destroys an opponent's monster by battle and sends it to the GY: Inflict damage to your opponent equal to half the destroyed monster's original ATK in the GY. * 4+: ④ .During your Battle Phase, if your opponent controls a monster after this card's first attack, this card can make a second attack. * 6+: This card's original ATK/DEF become 3300/3000. ① If you control no monsters, you can Special Summon this card (from your hand.) ② If this card attacks a Defense Position monster, inflict piercing battle damage to your opponent. 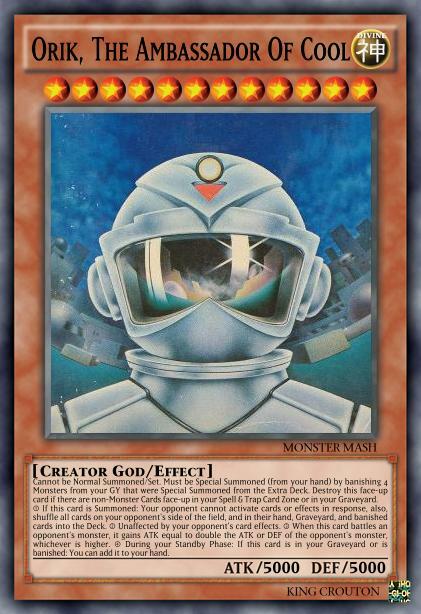 ① During either player's Main or Battle Phase, if there are no non-Monster Cards in your GY: You can discard this card to target 1 face-up monster your opponent controls; destroy it. 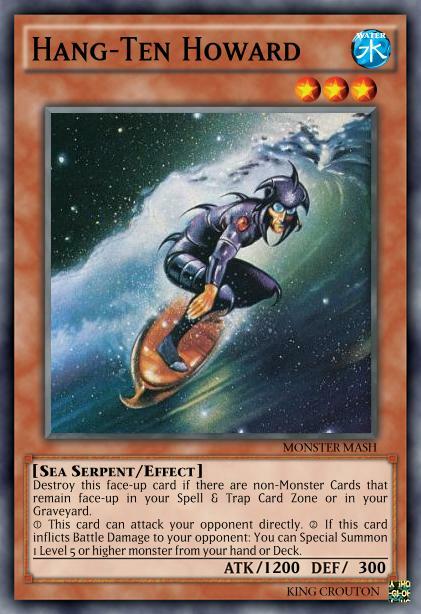 ② During your Standby Phase, if this card is in your GY while you control no cards: You can Special Summon this card. 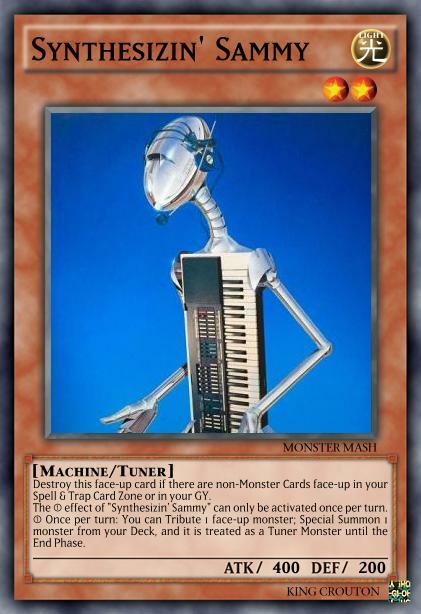 ① If this is the monster you control, this card gains 300 ATK. 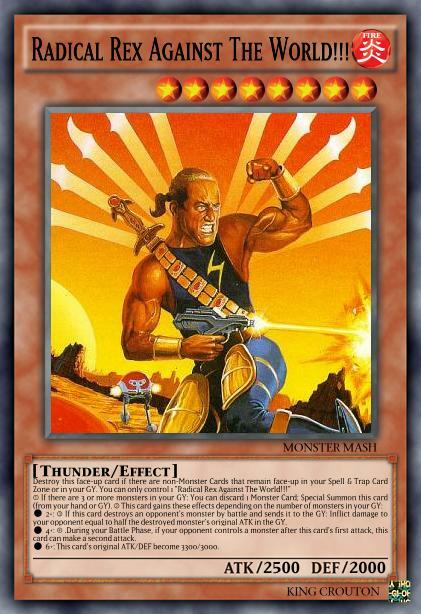 ② If this card destroys a monster by battle, you can Special Summon 1 Level 4 or lower monster from your Deck, except "Slashin' n' Thrashin' Bruiser Bro". ① Once per turn: You can Special Summon 1 Level 3 or lower monster (from your hand or GY.) 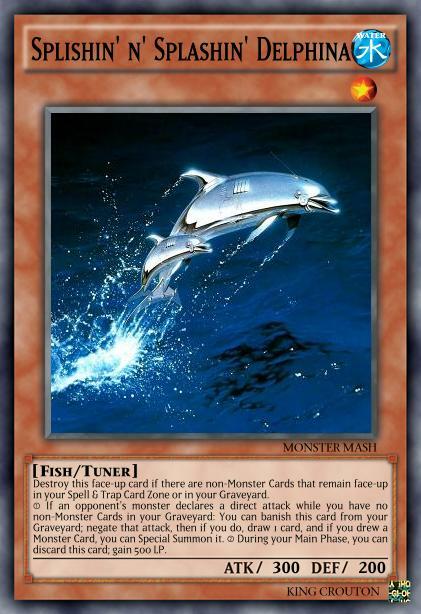 ② This card gains 300 ATK for each monster you control, except this card. 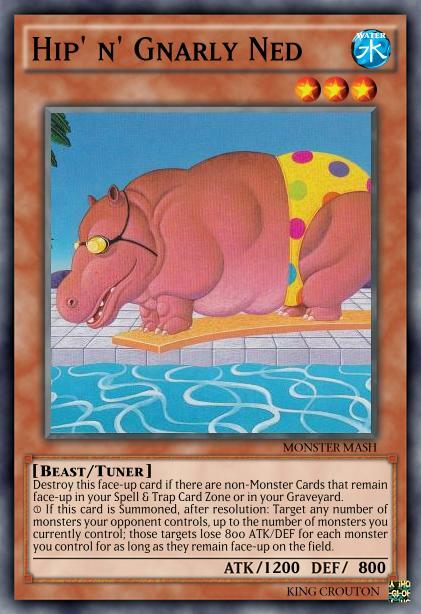 ① This card gains 100 ATK for each monster in your GY. 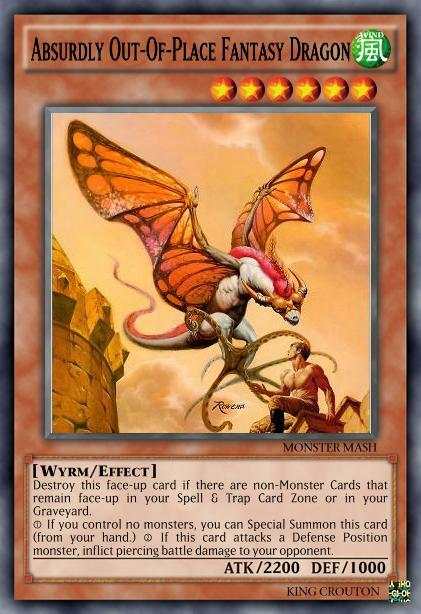 ② If this card leaves the field, you can target 1 monster in your GY; Special Summon it. ① Once per turn, during either player's turn: You can target 2 face-up monsters on the field; note the ATK of 1 monster, and if you do, add that noted ATK to the other monster. These effects last until the End Phase. 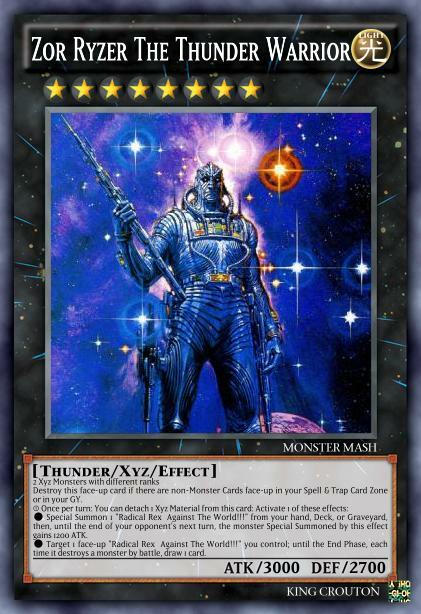 You can only use this card name’s ① effect once per turn. 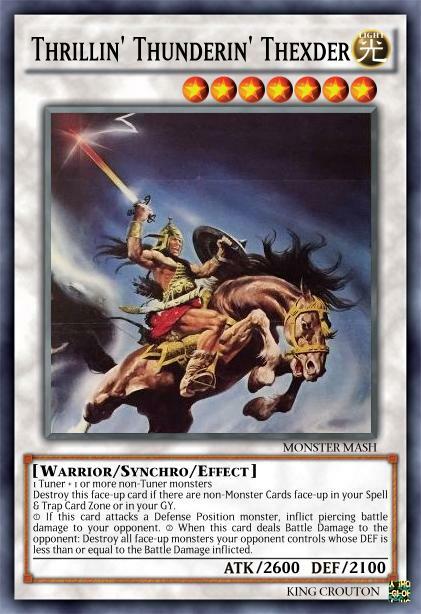 ① If this card attacks: It gains 400 ATK, then, you can Special Summon 1 Level 4 or lower monster (from your Deck), except "Primo-rama Ed-o-rama." 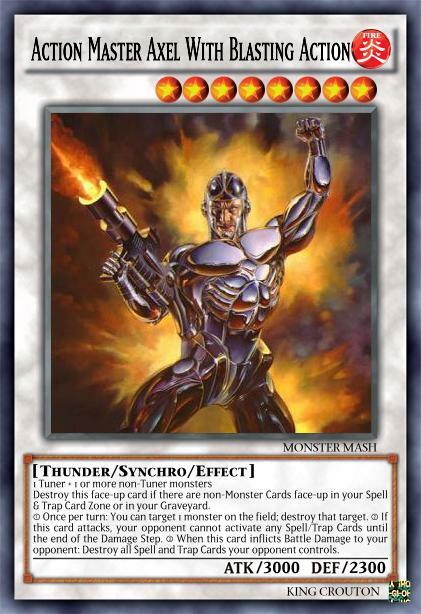 ① If this card is sent to the Graveyard for a Synchro Summon: Inflict 800 damage to your opponent for each non-Tuner monster used for that Synchro Summon. 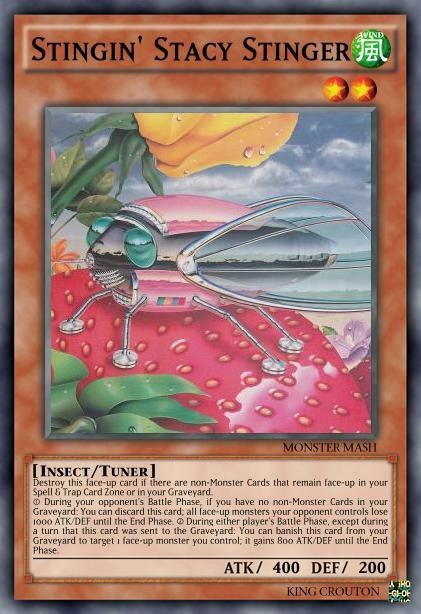 ② While this card is attached to an Xyz Monster as Xyz Material, that Xyz Monster gains 800 ATK. 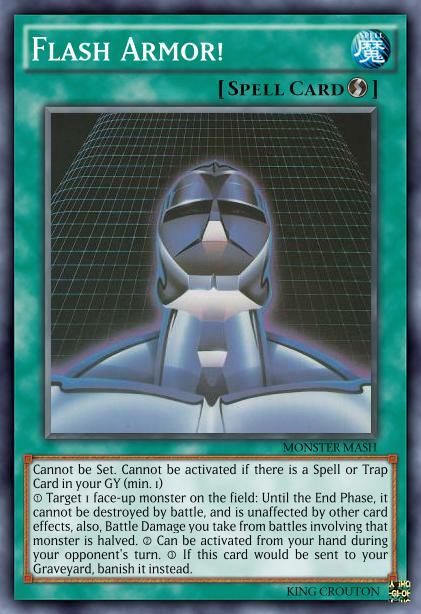 This card name's ② effect cannot only be activated once per turn. 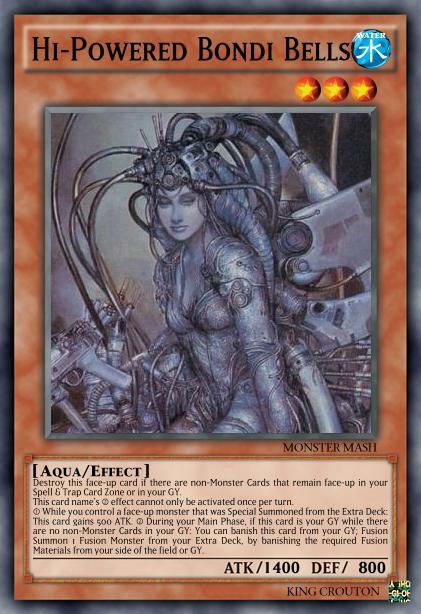 ① While you control a face-up monster that was Special Summoned from the Extra Deck: This card gains 500 ATK. 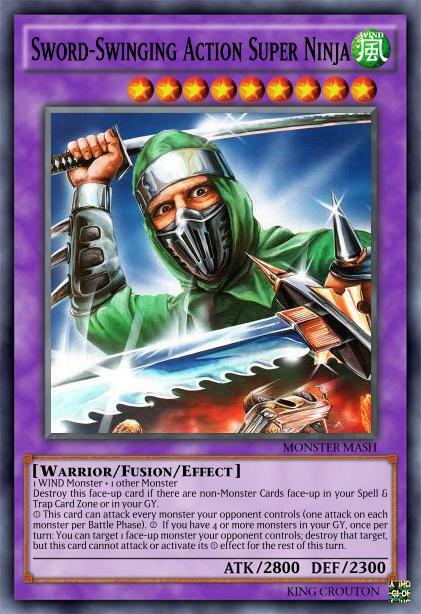 ② During your Main Phase, if this card is your GY while there are no non-Monster Cards in your GY: You can banish this card from your GY; Fusion Summon 1 Fusion Monster from your Extra Deck, by banishing the required Fusion Materials from your side of the field or GY. 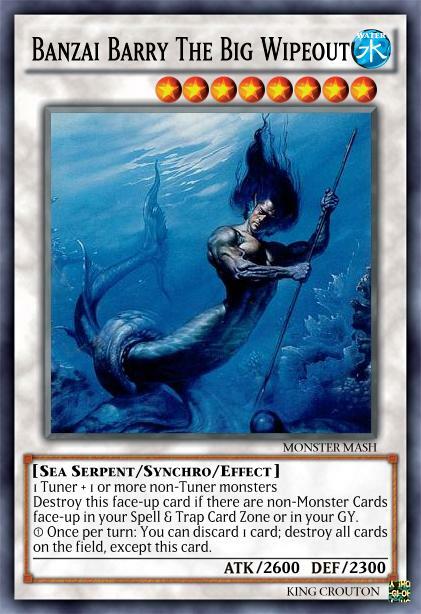 ① Once per turn, during either player's turn, if your opponent activates a card or effect that targets this card, or targets this face-up Attack Position card for an attack: You can change this card's battle position, and if you do, Special Summon 1 Level 5 or higher monster from your Deck, then change the attack target to it, and if you do, the attacking monster loses 800 ATK. 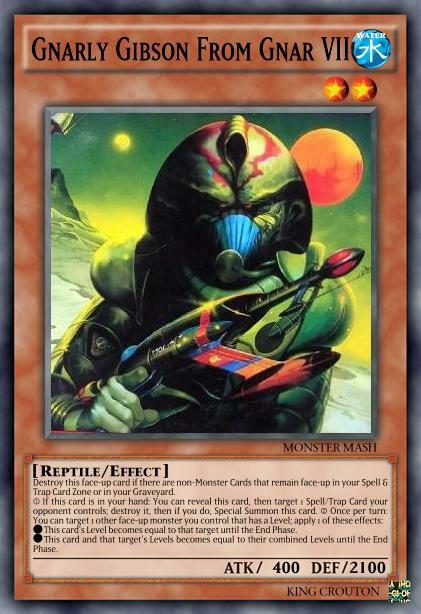 ② If this card is destroyed by your opponent's card, 1 face-up "Radical Rex Against The World!!!" you control gains 1500 ATK until the end of its next attack. ① If this card is Summoned, after resolution: Target any number of monsters your opponent controls, up to the number of monsters you currently control; those targets lose 800 ATK/DEF for each monster you control for as long as they remain face-up on the field. ① This card can attack your opponent directly. ② If this card inflicts Battle Damage to your opponent: You can Special Summon 1 Level 5 or higher monster from your hand or Deck. 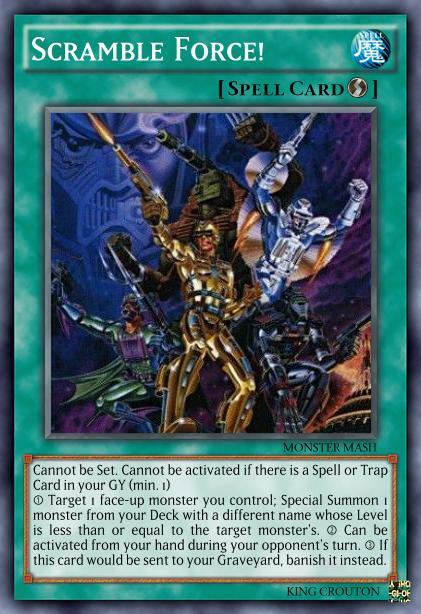 ① If your opponent's monster declares an attack: You can Special Summon this card from your hand, and if you do, change the attack target to this card and proceed to damage calculation. ② This card can attack while in face-up Defense Position, and if it does, it can attack directly. ① If an opponent activates a Effect Monster/Spell/Trap Card while you have no non-Monster Cards in your GY: You can discard this card to target that 1 card; that card's effect(s) is replaced with "Once per turn: Your opponent must draw 2 cards (this is not optional.)" ① If your opponent's monster declares an attack: You can Special Summon this card from your hand, and if you do, gain LP equal to half the the highest ATK on the field. ② Cannot be destroyed by battle. *This card's Level becomes equal to that target until the End Phase. *This card and that target's Levels becomes equal to their combined Levels until the End Phase. 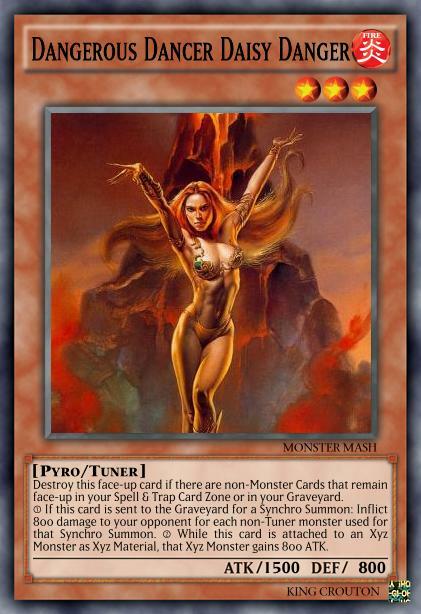 Destroy this face-up card if there are non-Monster Cards face-up in your Spell & Trap Card Zone or in your GY. The ① effect of "Synthesizin' Sammy" can only be activated once per turn. 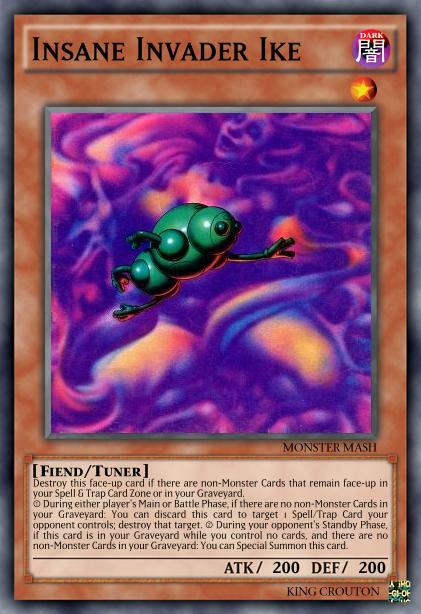 ① Once per turn: You can Tribute 1 face-up monster; Special Summon 1 monster from your Deck, and it is treated as a Tuner Monster until the End Phase. ① During your opponent's Battle Phase, if you have no non-Monster Cards in your GY: You can discard this card; all face-up monsters your opponent controls lose 1000 ATK/DEF until the End Phase. 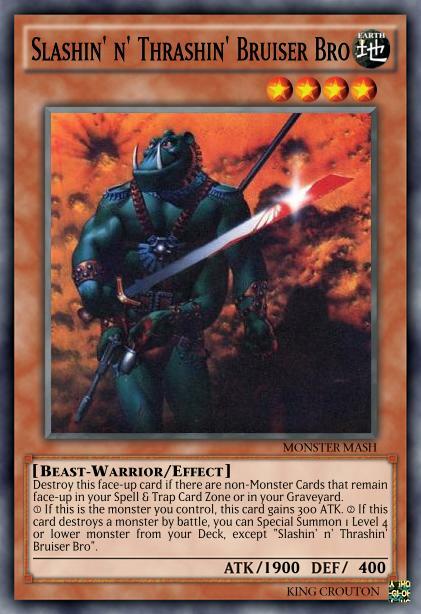 ② During either player's Battle Phase, except during a turn that this card was sent to the GY: You can banish this card from your Graveyard to target 1 face-up monster you control; it gains 800 ATK/DEF until the End Phase. ① If an opponent's monster declares a direct attack while you have no non-Monster Cards in your GY: You can banish this card from your GY; negate that attack, then if you do, draw 1 card, and if you drew a Monster Card, you can Special Summon it. 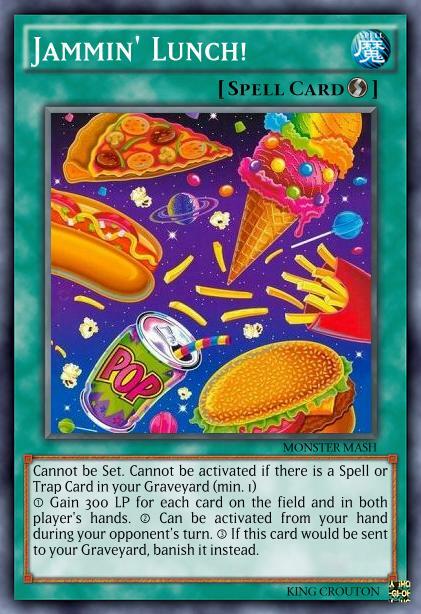 ② During your Main Phase, you can discard this card; gain 500 LP. 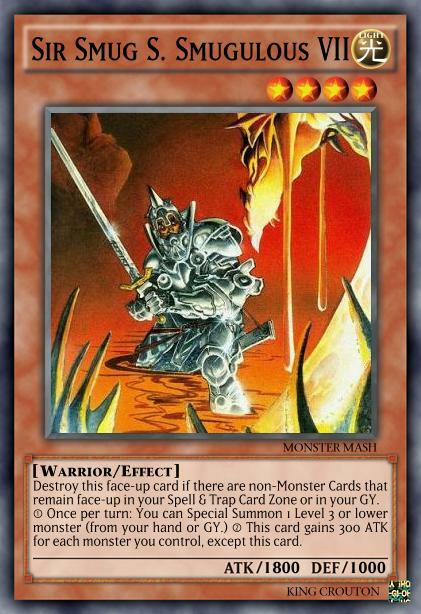 ① During either player's Main or Battle Phase, if there are no non-Monster Cards in your GY: You can discard this card to target 1 Spell/Trap Card your opponent controls; destroy that target. 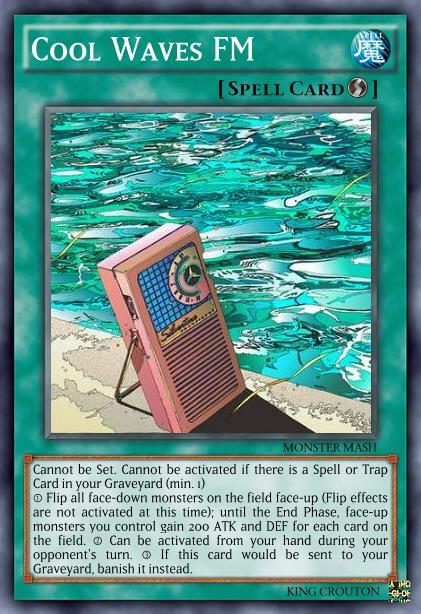 ② During your opponent's Standby Phase, if this card is in your GY while you control no cards, and there are no non-Monster Cards in your GY: You can Special Summon this card. ① Excavate the top 5 cards on your Deck; Special Summon any number of monsters from among those cards whose combined Levels equal 8 or less, then place the rest on the bottom of your Deck in any order. ② The ① effect of "Cool Gate" can only be activated once per turn. ③ If this card would be sent to your Graveyard, banish it instead. 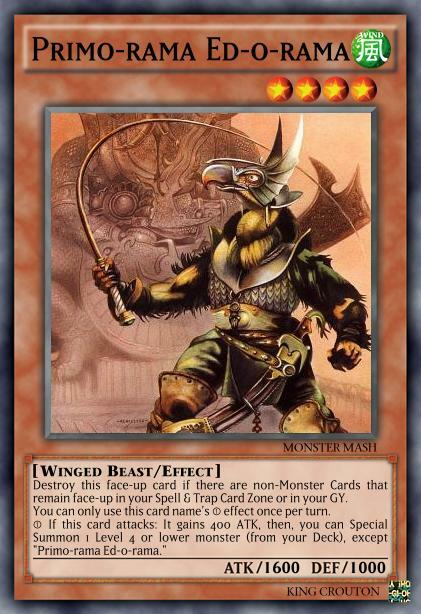 ① If there are 5 or more monsters in your GY: Target 2 monsters in your GY; place those targets on the bottom of your Deck, then draw cards until you have 4 cards in your hand. 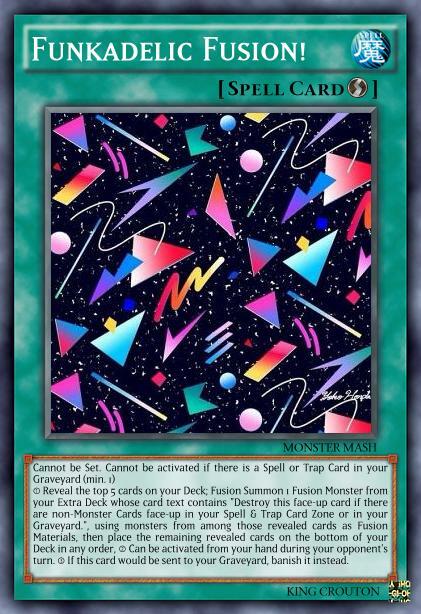 ② If this card would be sent to your Graveyard, banish it instead. ① Target 2 monsters in your Graveyard; return those targets to the owner's Deck, then Special Summon 2 monsters from your Deck with different names from each other. 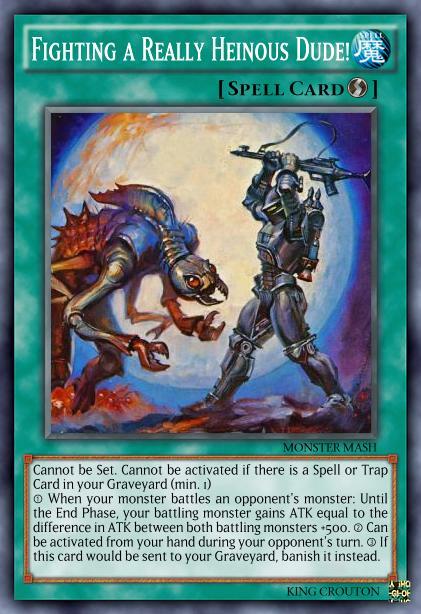 You must have 8 or more monsters in your GY to activate and to resolve this effect. ② Can be activated from your hand during your opponent's turn. 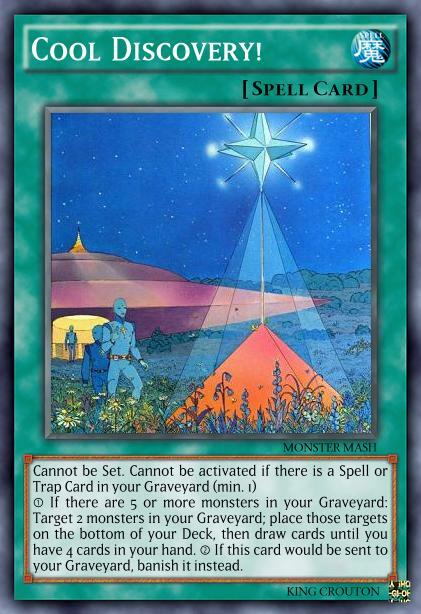 ③ If this card would be sent to your Graveyard, banish it instead. 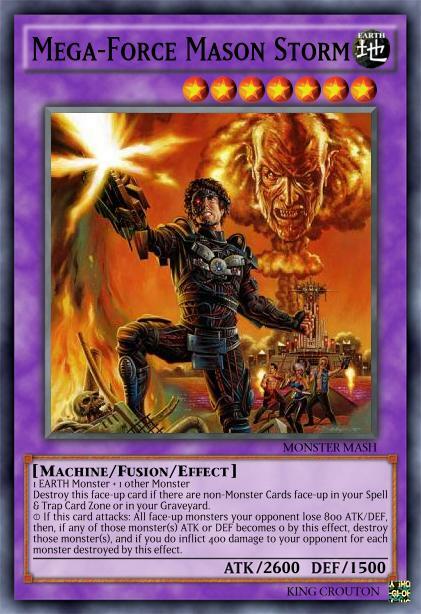 ① Reveal the top 5 cards on your Deck; Fusion Summon 1 Fusion Monster from your Extra Deck whose card text contains "Destroy this face-up card if there are non-Monster Cards face-up in your Spell & Trap Card Zone or in your GY. ", using monsters from among those revealed cards as Fusion Materials, then place the remaining revealed cards on the bottom of your Deck in any order, ② Can be activated from your hand during your opponent's turn. ③ If this card would be sent to your GY, banish it instead. ① Target 1 face-up monster you control; Special Summon 1 monster from your Deck with a different name whose Level is less than or equal to the target monster's. ② Can be activated from your hand during your opponent's turn. ③ If this card would be sent to your Graveyard, banish it instead. ① Gain 300 LP for each card on the field and in both player's hands. ② Can be activated from your hand during your opponent's turn. ③ If this card would be sent to your Graveyard, banish it instead. Fighting a Really Heinous Dude! ① When your monster battles an opponent's monster: Until the End Phase, your battling monster gains ATK equal to the difference in ATK between both battling monsters +1000. ② Can be activated from your hand during your opponent's turn. ③ If this card would be sent to your Graveyard, banish it instead. ① Target 1 face-up monster you control with 1500 or less ATK; double its ATK until the End Phase. ② Can be activated from your hand during your opponent's turn. ③ If this card would be sent to your Graveyard, banish it instead. ① Flip all face-down monsters on the field face-up (Flip effects are not activated at this time); until the End Phase, face-up monsters you control gain 200 ATK and DEF for each card on the field. ② Can be activated from your hand during your opponent's turn. ③ If this card would be sent to your Graveyard, banish it instead. ① Target 1 face-up monster on the field: Until the End Phase, it cannot be destroyed by battle, and is unaffected by other card effects, also, Battle Damage you take from battles involving that monster is halved. ② Can be activated from your hand during your opponent's turn. ③ If this card would be sent to your Graveyard, banish it instead. ① Unaffected by your opponent's Spell Cards. ② During your Battle Phase, if your opponent controls a monster after this card's first or second attack, this card can make another attack. 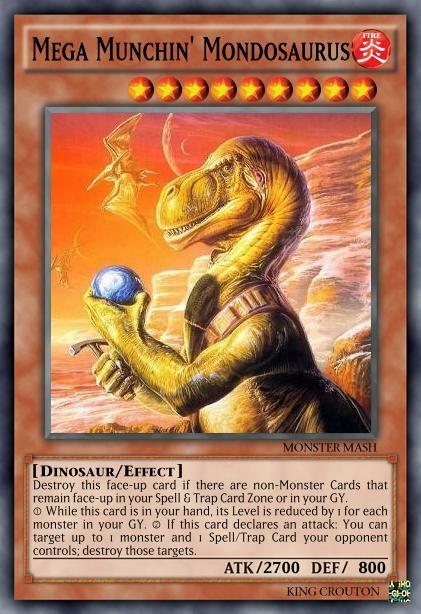 ③ If this card leaves the field: You can Special Summon 1 "Radical Rex Against The World!!!" from your hand, Deck, or GY. ① Face-up monsters your opponent controls are changed to face-up Attack Position, and must attack each turn if able, also, their effect(s) on the field cannot be activated. 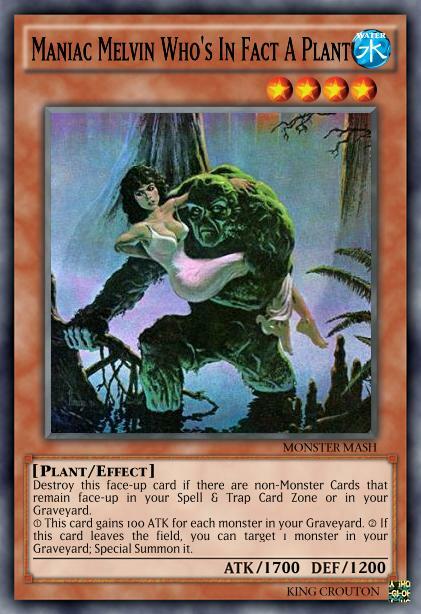 ① This card can attack every monster your opponent controls (one attack on each monster per Battle Phase). ② If you have 4 or more monsters in your GY, once per turn: You can target 1 face-up monster your opponent controls; destroy that target, but this card cannot attack or activate its ① effect for the rest of this turn. 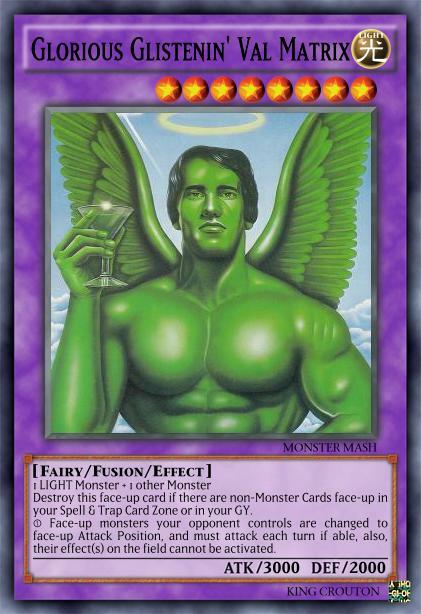 ① If this card attacks: All face-up monsters your opponent lose 800 ATK/DEF, then, if any of those monster(s) ATK or DEF becomes 0 by this effect, destroy those monster(s), and if you do inflict 400 damage to your opponent for each monster destroyed by this effect. 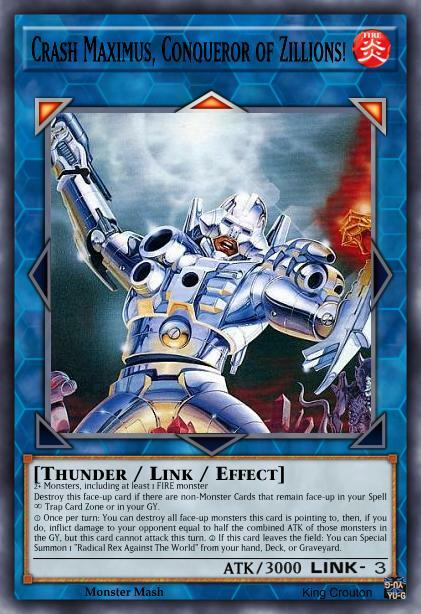 ① If this card declares an attack while your opponent controls a monster: Your opponent can Tribute 1 monster they control to negate this attack, otherwise, this card gains 1000 ATK until the end of the Damage Step. ① Once per turn: You can target 1 monster on the field; destroy that target. ② If this card attacks, your opponent cannot activate any Spell/Trap Cards until the end of the Damage Step. 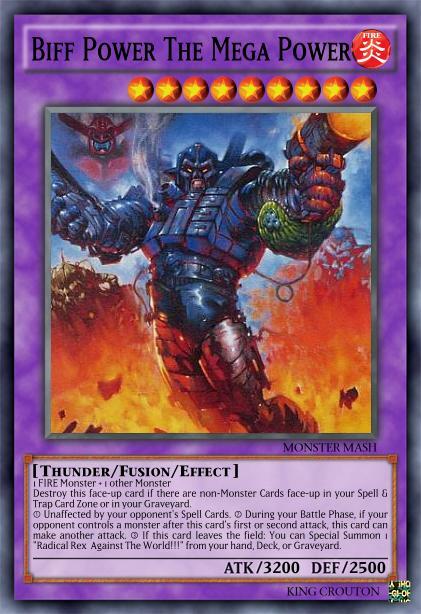 ③ When this card inflicts Battle Damage to your opponent: Destroy all Spell and Trap Cards your opponent controls. ① Once per turn: You can discard 1 card; destroy all cards on the field, except this card. ① If this card attacks a Defense Position monster, inflict piercing battle damage to your opponent. 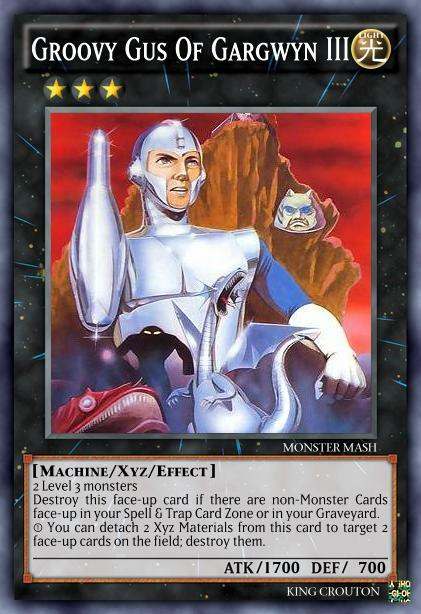 ② When this card deals Battle Damage to the opponent: Destroy all face-up monsters your opponent controls whose DEF is less than or equal to the Battle Damage inflicted. * Special Summon 1 "Radical Rex Against The World!!!" from your hand, Deck, or Graveyard, then, until the end of your opponent's next turn, the monster Special Summoned by this effect gains 1200 ATK. * Target 1 face-up "Radical Rex Against The World!!!" you control; until the End Phase, each time it destroys a monster by battle, draw 1 card. ① Once per turn, while you have 7 or more face-up monsters with different names in your GY: You can detach 1 Xyz Material from this card; until your opponent's next End Phase, negate all of your opponent's card effects on the field and in the GY. 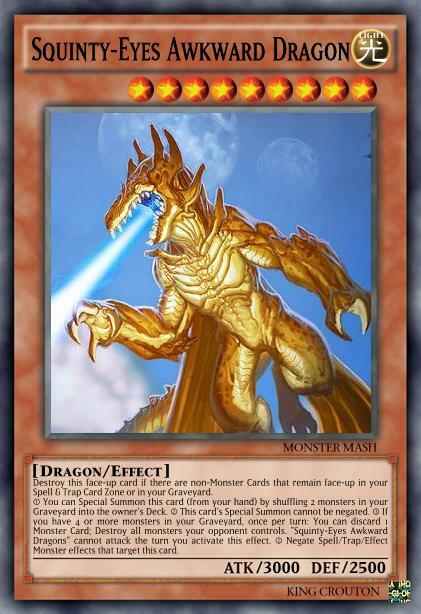 ① Once per turn: You can detach 1 Xyz Material from this card to target 1 card your opponent controls; place that target on the bottom of its owner's deck, then, if it was a Monster Card, you can Special Summon 1 monster from your Deck whose Level is less than or equal to that monster's Level/Rank. 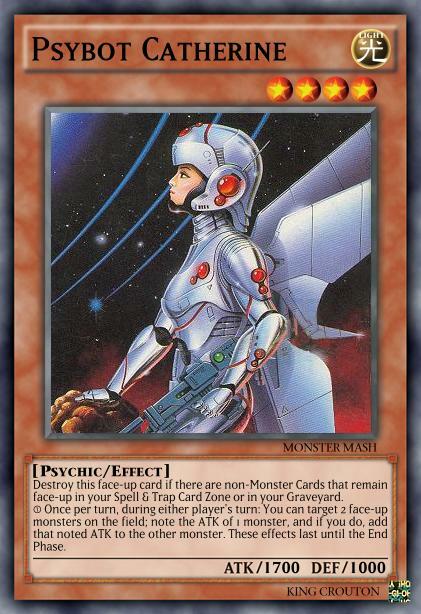 ① You can detach 2 Xyz Materials from this card to target 2 face-up cards on the field; destroy them. Crash Maximus, Conqueror of Zillions! ① Once per turn: You can destroy all face-up monsters this card is pointing to, then, if you do, inflict damage to your opponent equal to half the combined ATK of those monsters in the GY, but this card cannot attack this turn. 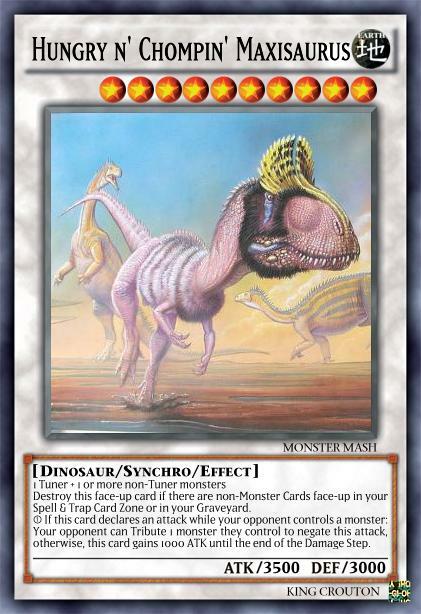 ② If this card leaves the field: You can Special Summon 1 "Radical Rex Against The World!!!!!" from your hand, Deck, or Graveyard. ① Face-up monsters this card is pointing to gain ATK equal to this card's ATK, and all other face-up monsters you control gain ATK equal to half this card's ATK. ② Once per turn: You can have this card gain 600 ATK, but it cannot attack this turn.